Preparation is underway to transport veterans from the Navajo Nation to the site of the Dakota Access Pipeline protest near the Standing Rock Sioux reservation in North Dakota. 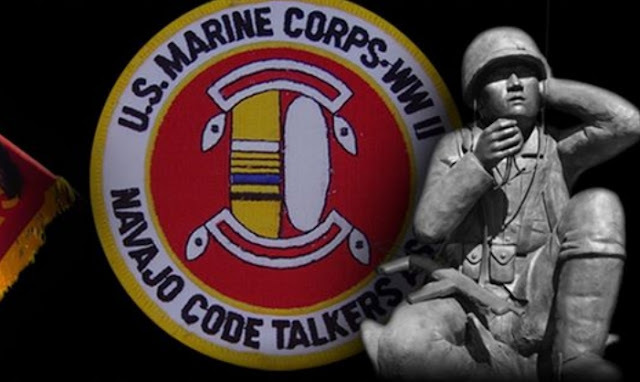 Shiprock Chapter President Duane "Chili" Yazzie said Veterans Stand for Standing Rock paid for two charter buses to deliver veterans from Shiprock to the protest site and back. Registration for the travel started today with the goal of transporting 22 veterans from each of the five agencies on the Navajo Nation. The group is scheduled to leave the Shiprock Chapter house on Friday and return Tuesday. The Navajo Nation knows firsthand what this is like, as Vice President Jonathan Nez noted. 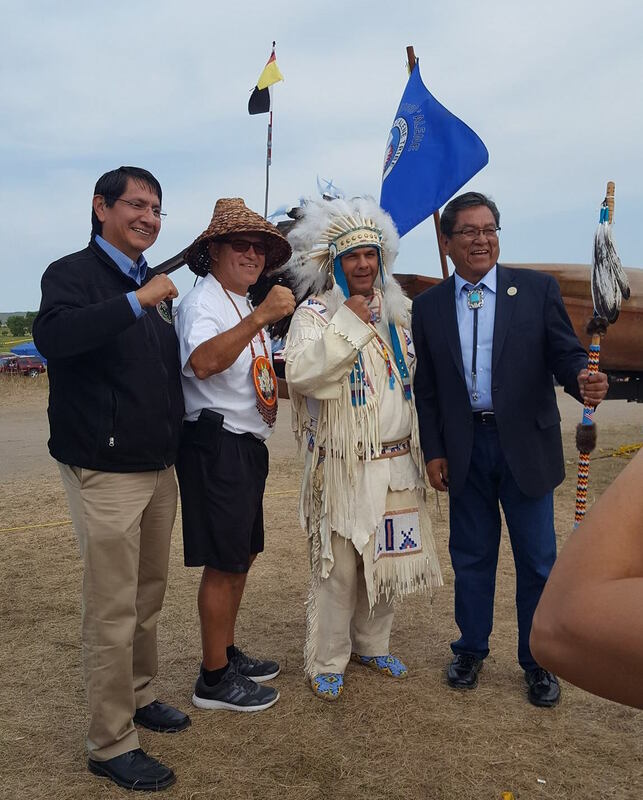 Courtesy Radmilla Cody Left to right, Navajo Nation Vice President Jonathan Nez, Swinomish Indian Tribal Community Chairman and NCAI President Brian Cladoosby, a Yakama Chief and Navajo President Russell Begaye at the water protectors’ camp near the Standing Rock Sioux Reservation. Responses to " Navajo Veterans Lend Support to Standing Rock Against Dakota Access "